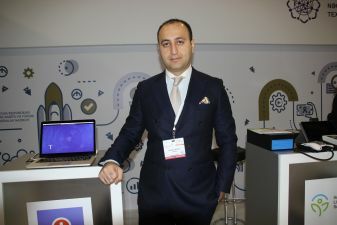 - We participate in the exhibition as a startup within the Azerbaijan High-Tech Park. Tap2Doc is a platform for Android, IOS, the web OS, which connects potential patients with doctors all over the world, through video consultations. The goal of the program is to ensure that in a short period a potential patient can independently find the right doctor for himself, regardless of his location. When developing the application, we have adopted the experience of Uber: the user sets the necessary parameters for the desired doctor and after receiving the results, he decides who of the suitable doctors to contact. Our base is currently at beta stage, is being tested and includes data from more than 1000 doctors around the world. We compiled this database based on the recommendations of experienced doctors from our team who have worked in Turkey and Germany for more than 20 years and have professional connections. We are planning to launch the application on the market as early as next year. The purpose of our participation in the exhibition is the desire to meet other participants who may be useful to us, their capabilities, potential investors, etc. The main advantage of the Bakutel exhibition is networking and the opportunity to establish new useful contacts. For example, next to our stand is the stand of the Agency for the Development of Small and Medium Businesses, with whose representatives we have already had a meaningful conversation. We will be glad to see at our booth representatives of investment funds and companies in the field of business acceleration.